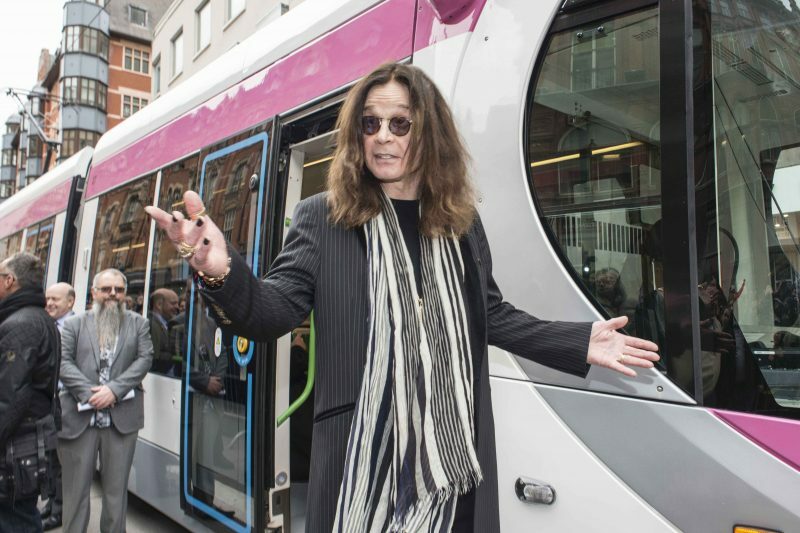 Rock legend Ozzy Osbourne was back in his native Birmingham today (26th May) to unveil a Midland Metro tram bearing his name. 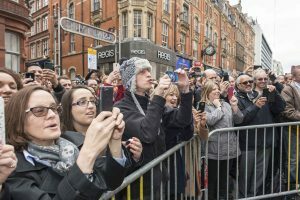 The Aston-born frontman of Black Sabbath received a hero’s welcome from hundreds of fans who lined the city centre’s Corporation Street. The tram was parked at a new stop forming part of the city centre extension that opens to passengers on Bank Holiday Monday (May 30). The extension has been built by Centro, the delivery arm of the West Midlands Integrated Transport Authority (ITA). Ozzy said: “It’s great to be here and it’s a great honour. Once a Brummie always a Brummie. 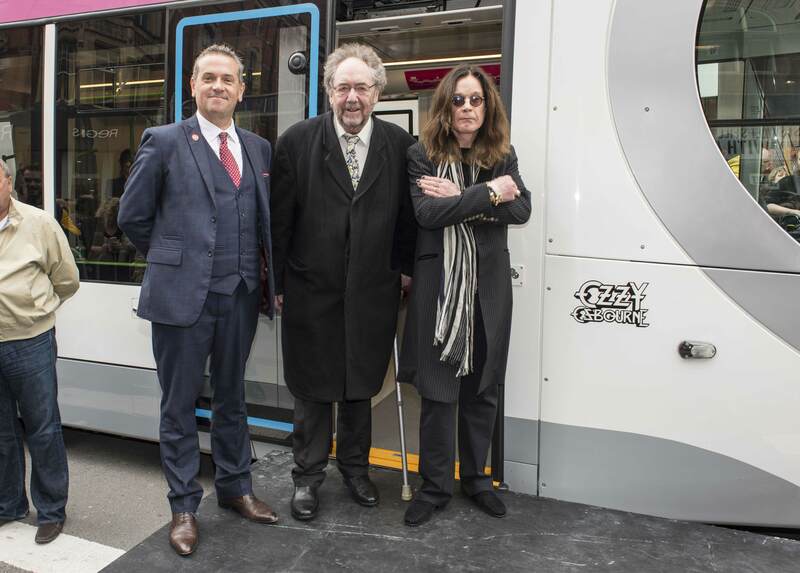 Joining Ozzy for the tram-naming were Coun John Clancy, leader of Birmingham City Council, and Coun Roger Lawrence, the chairman of the ITA. Cllr Clancy said: “Birmingham is the birthplace of many great people but Ozzy really is one of our most famous sons and I am delighted he has joined us. Cllr Lawrence said he was delighted that the Metro would be expanding further across Birmingham and the Black Country over the next few years. “These are really exciting times. The expansion of the Metro means future jobs and economic growth worth millions of pounds for this region,” he said. “We’ve already started work on extending the route on from New Street Station to Centenary Square to open in 2019 while another extension through Wolverhampton city centre to the bus and railway stations is also expected to be completed around the same time. The extension is part of a £128 million project which has seen the introduction of a new fleet of 21 Urbos 3 trams, a refurbished depot at Wednesbury and a new stop at Snow Hill station. The new extension will deliver more than three million people a year directly into the heart of Birmingham’s main shopping district.